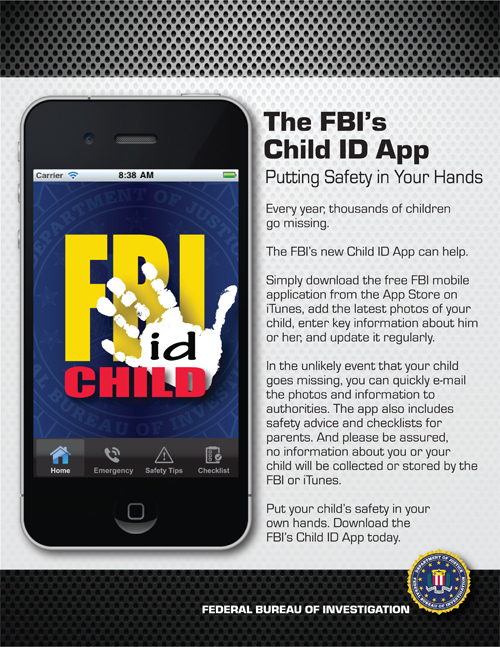 FBI Child ID (graphic above) - designed to provide authorities and searchers with immediate access to relevant data about a lost child. Footprints - designed to provide parents with a variety of ways to track the real-time whereabouts of a child. Comment: The concept behind each of these apps appears to be solid. However, like a New Year's Eve resolution, the ultimate value of each will be the degree to which the owner (and child in the case of Footprints) is willing to stick to the plan for the app over time.